"Threatened" redirects here. For the Michael Jackson song, see Invincible (Michael Jackson album). Less-than-threatened categories are near threatened, least concern, and the no longer assigned category of conservation dependent. Species which have not been evaluated (NE), or do not have sufficient data (data deficient) also are not considered "threatened" by the IUCN. The three categories of the threatened species IUCN Red List. Although threatened and vulnerable may be used interchangeably when discussing IUCN categories, the term threatened is generally used to refer to the three categories (critically endangered, endangered and vulnerable), while vulnerable is used to refer to the least at risk of those three categories. They may be used interchangeably in most contexts however, as all vulnerable species are threatened species (vulnerable is a category of threatened species); and, as the more at-risk categories of threatened species (namely endangered and critically endangered) must, by definition, also qualify as vulnerable species, all threatened species may also be considered vulnerable. Threatened species are also referred to as a red-listed species, as they are listed in the IUCN Red List of Threatened Species. 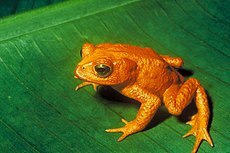 Subspecies, populations and stocks may also be classified as threatened. "Threatened" in relation to "endangered" under the ESA. Under the Endangered Species Act in the United States, "threatened" is defined as "any species which is likely to become an endangered species within the foreseeable future throughout all or a significant portion of its range". It is the less protected of the two protected categories. The Bay checkerspot butterfly (Euphydryas editha bayensis) is an example of a threatened subspecies protected under the ESA. Within the U.S., state wildlife agencies have the authority under the ESA to manage species which are considered endangered or threatened within their state but not within all states, and which therefore are not included on the national list of endangered and threatened species. For example, the trumpeter swan (Cygnus buccinator) is threatened in the state of Minnesota, while large populations still remain in Canada and Alaska. "Conservation dependent" - "focus of a specific conservation program" without which the species would enter one of the above categories. The EPBC Act also recognises and protects threatened ecosystems such as plant communities, and Ramsar Convention wetlands used by migratory birds. Individual states and territories of Australia are bound under the EPBC Act, but may also have legislation which gives further protection to certain species, for example Western Australia's Wildlife Conservation Act 1950. Some species, such as Lewin's rail (Lewinia pectoralis), are not listed as threatened species under the EPBC Act, but they may be recognised as threatened by individual states or territories. Pests and weeds, climate change and habitat loss are some of the key threatening processes facing native plants and animals listed by the NSW Office of Environment and Heritage. ^ Liermann, Martin (2001). "Depensation: evidence, models and implications" (PDF). Fish and Fisheries. ^ Program, U.S. Fish and Wildlife Service/Endangered Species. "Endangered Species Program - Laws & Policies - Endangered Species Act - Section 3 Definitions". www.fws.gov. Archived from the original on 29 April 2017. Retrieved 8 May 2018. ^ "Minnesota Endangered & Threatened Species List" (PDF). state.mn.us. Archived (PDF) from the original on 19 May 2017. Retrieved 8 May 2018.